★ This Falling Price Deal brings back Xion [EX+] and KH II Kairi [EX+]! 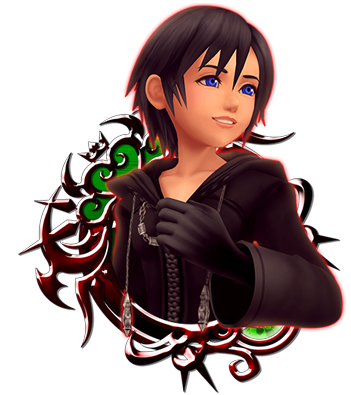 As you’re also guaranteed to get a corresponding Trait Medal each time you draw from this Deal, you'll be able to deck out your Xion [EX+] and KH II Kairi [EX+] traits and power them up further! ・Xion [EX+] and KH II Kairi [EX+] will gain a new trait. ・Xion [EX+] and KH II Kairi [EX+] will gain one Special Attack Dot. 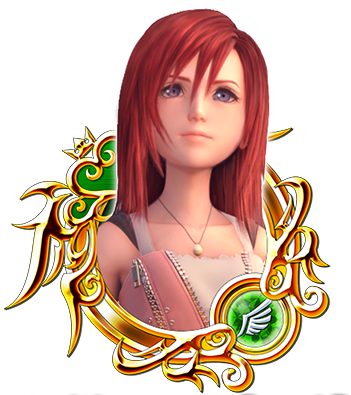 NOTE: If Xion [EX+] and KH II Kairi [EX+] is already strengthened to 5 Special Attack Dots, the Trait Medal will unlock the Special Attack Bonus. Trait Medals can also re-roll Special Attack Bonuses if the Bonus is already unlocked. ・You’re guaranteed to get a corresponding Trait Medal each time you draw from this Deal! I have no words. So yeah, I leave it at that. I have no words. Simply personally for me it's rather good. I could not get the Kairi EX + in my time. And I'm glad that I was given a second chance. It's a way to take your money in a sneaky way, while still guaranteeing nothing in return. It's a Falling Price deal. That just means you're paying a wee bit less to take your chances. The deal is basically the same. You could pull 100 times and not get either medal...or pull once and get it. It's gambling, pure and simple. I pulled way too many times the first time to get nothing, and will not get burned again. I would advise anyone to wait until they come back as mercy pulls, but that is only my suggestion and personal way of approaching it. Any medal deal that is not a guarantee pull is a no go for me in the future. Of course, there are players with unlimited access to cash, so it matters not how many times they have to pull. Choose wisely. Wishing you lots of good luck if you do decide to pull! Such bait~ Since these still aren't mercies, it would probably be better to pull for T5 primes, since Roxas also has the 80% guilt buff and -7 AOE reverse defense down, but you only need to pull 5 times to get him.